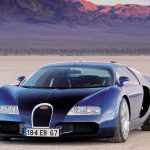 Nine years after the introduction of the Bugatti Veyron 16.4 the Veyron era is moving to a close with only a handful of Grand Sports still up for sale. Almost a decade after our first engagement with the Bugatti Veyron we get behind the wheel of the last iterations of one of the most iconic and fastest cars of the past decade. 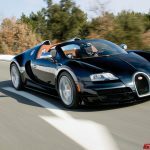 The particular Bugatti Veyron featured in this review is the Bugatti Veyron Grand Sport Vitesse World Record Car that set the incredible 408.84 km/h top speed record to claim the title fastest convertible in the world. But this story is more than just a review of the Grand Sport Vitesse, we will start with a homage to the Veyron as a whole. 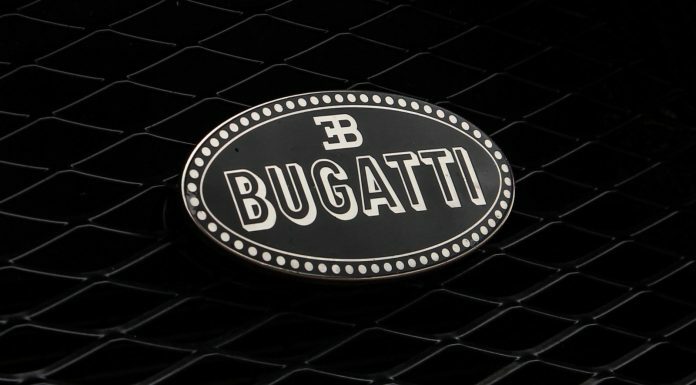 The story of the Bugatti Veyron goes further back than 10 years, it started in 1998 when the Volkswagen Group purchased the Bugatti name in order to revive the brand. In 1998 and 1999 various new Bugatti prototypes were shown to the public at car shows around the world. The Bugatti Veyron concept car was shown for the first time at the 1999 Tokyo Motor Show. 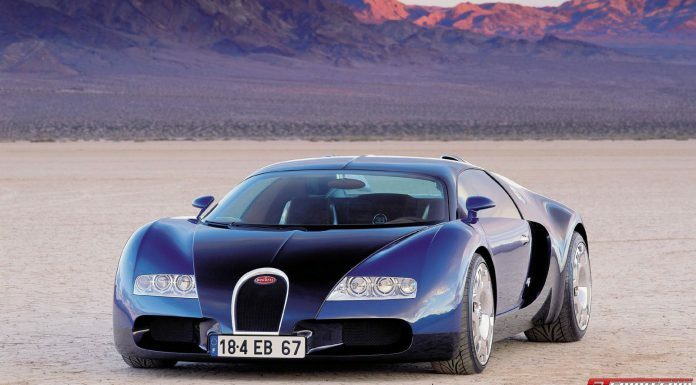 The Bugatti Veyron 18.4 concept was also shown at the 2000 Paris Motor Show. This concept featured a 3-bank W18 engine engine instead of the 2-bank W16 engine engine of the later production version. 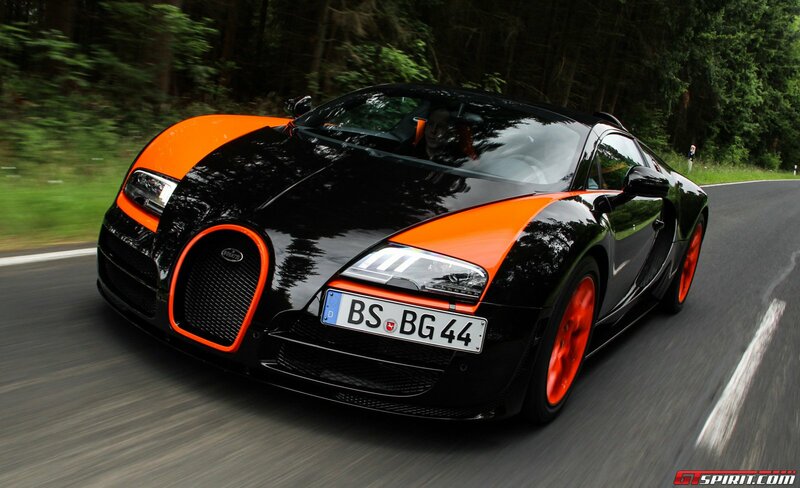 In 2001 Volkswagen decided to take the Bugatti Veyron to production and named it the Bugatti Veyron EB 16.4. The Veyron EB 16.4 is named in honour of Pierre Veyron, a Bugatti development engineer, test driver and race driver who won the 1939 24 hours of Le Mans. 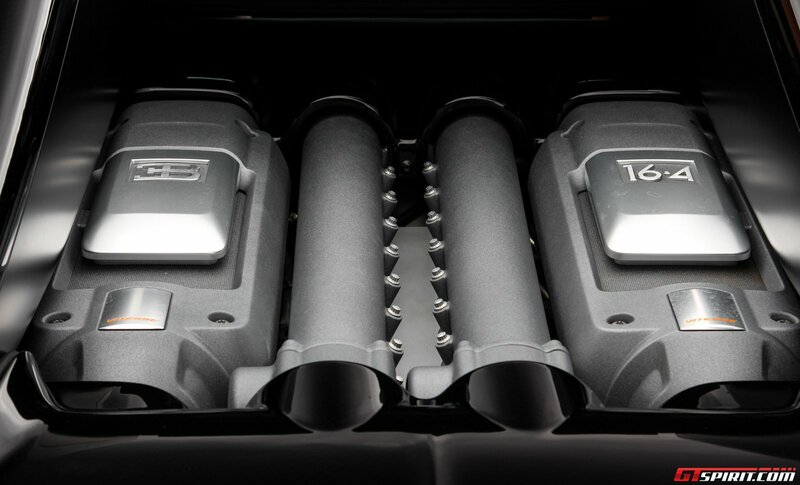 The EB refers to Bugatti founder Ettore Bugatti and the 16.4 refers to the engine’s 16 cylinders and four turbochargers. Before production of the Veyron could begin the company needed a headquarters and production facilities. In the late 1920s Ettore Bugatti had bought Château Saint Jean in the French town of Molsheim and built a factory next door. Volkswagen bought the Château Saint Jean which was unoccupied ever since the Bugatti production seized shortly after World War II. 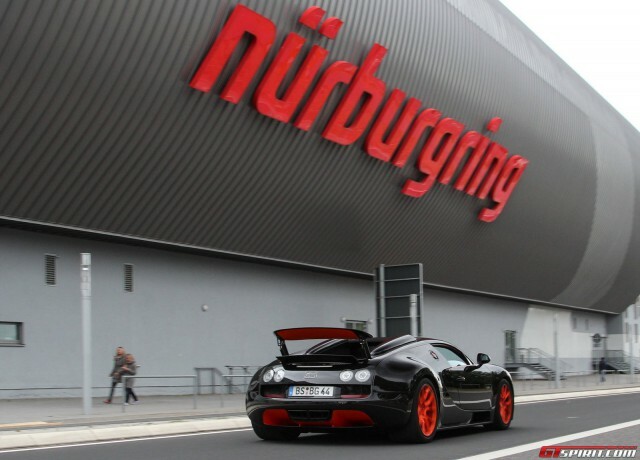 In 2004 renovation of the Bugatti headquarters and the development of a brand new production facility near the headquarters were completed and production truly did commence. In October 2005 the Bugatti Veyron EB 16.4 celebrated its official debut in Sicily, Italy at the location of one of the most notorious races of all time: the Targa Floria. The Bugatti Veyron was the first production car to feature more than 1,000hp and a top speed of 400 km/h+. On 19 April 2005 the Bugatti Veyron EB 16.4 set a new world record with a top speed of 408.47 km/h at Volkswagen’s Ehra-Lessien test track in Germany. 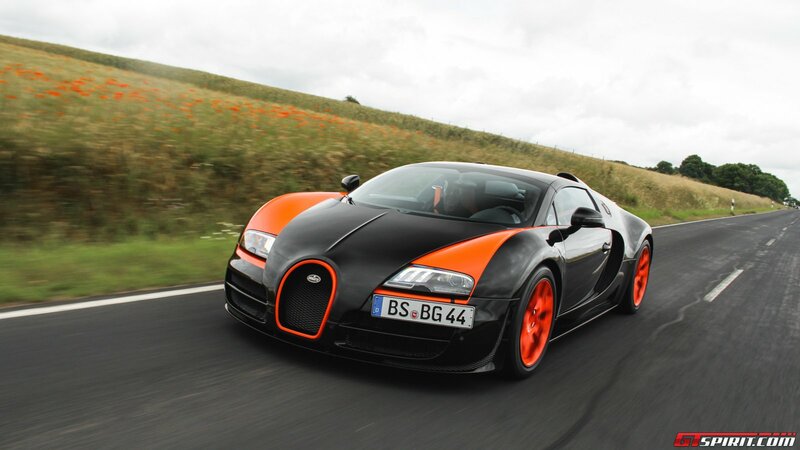 The Bugatti Veyron was limited to a production run of 300 cars, 30 of which a 1,200hp Super Sport Edition. The Super Sport was introduced in 2010 and not only lifted the performance to 1,200hp but also set a new top speed record at 431.072 km/h. 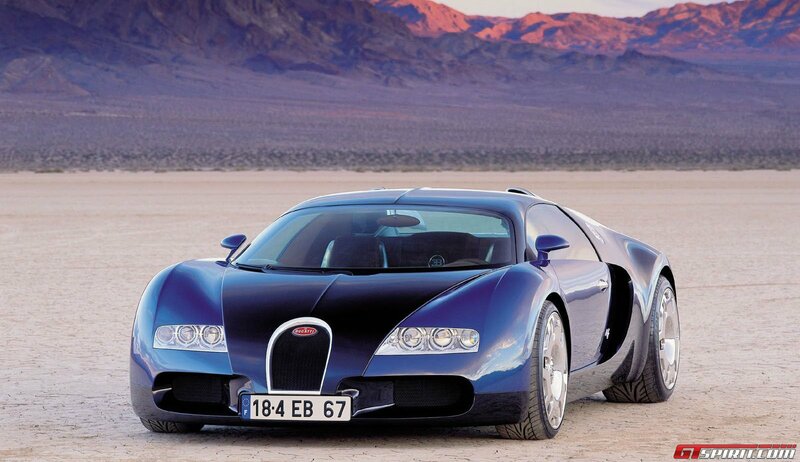 In 2009 Bugatti launched the Bugatti Veyron Grand Sport, a targa version of the Bugatti Veyron. Limited to 150 cars this brought the total Bugatti Veyron production to 450 pieces. The Grand Sport’s performance is on par with that of the hard top Bugatti Veyron with 1,001hp and a top speed of 407 km/h with the roof attached. With the roof down the top speed is limited to 369 km/h. 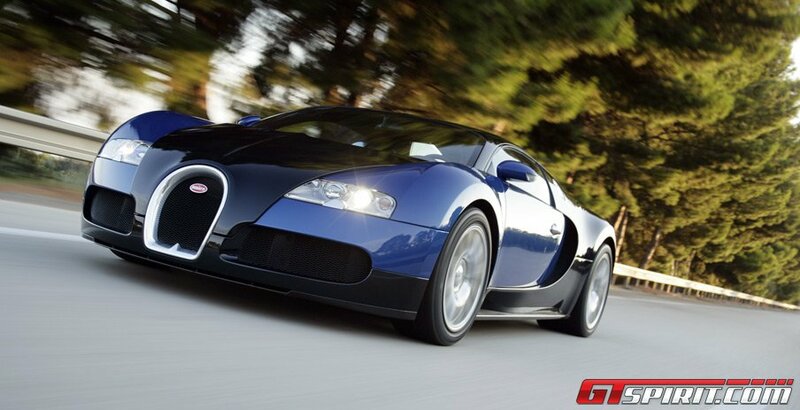 In 2012 the last edition of the Bugatti Veyron was released: the Bugatti Veyron Grand Sport Vitesse. 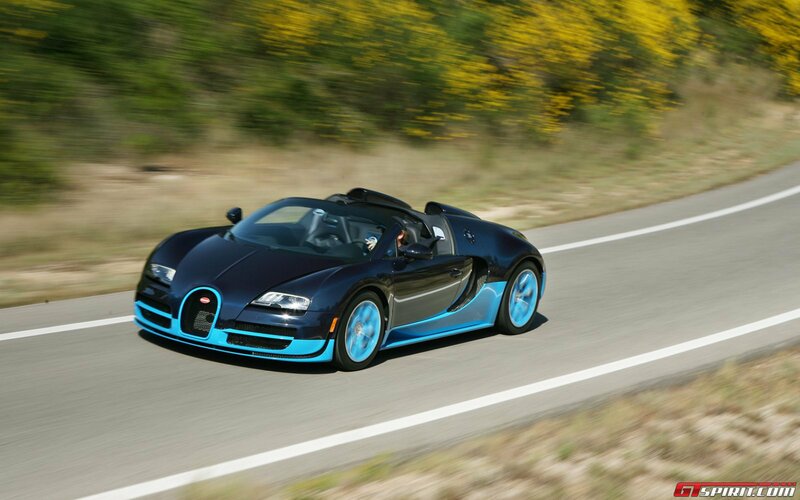 In Bugatti tradition this 1,200hp strong convertible set the world record for fastest convertible with a top speed of 408.84 km/h. This was the exact car that we used for this review. 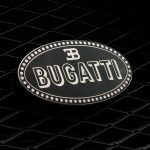 Over the last nine years Bugatti also developed a large range of special editions and one-off’s based on their Bugatti Veyron, Grand Sport, Super Sport and Vitesse. 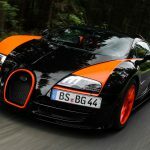 And although we won’t go into detail about all of them here we do recommend to take a look at our Top 10 of Bugatti Veyron Special Editions. 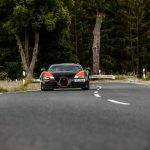 With the history of the Bugatti Veyron behind us it is time to take a closer look at the Bugatti Veyron Grand Sport Vitesse World Record Car. As usual we discuss some of its key features and recap the changes with the regular Grand Sport before the actual driving experience. 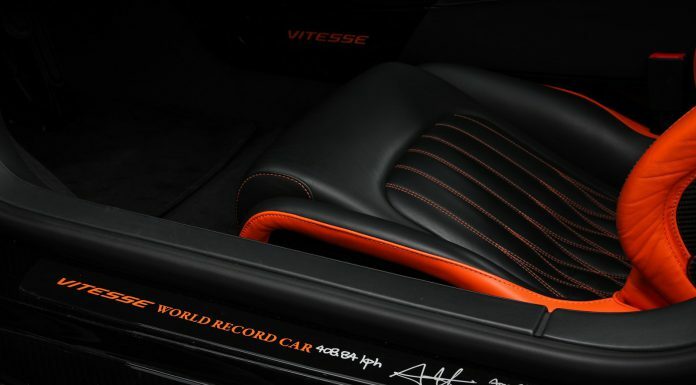 The Bugatti Veyron Grand Sport Vitesse World Record Car features the same mechanicals as the regular Vitesse. 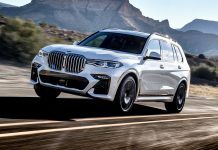 It comes with the famous 8.0-litre W16 engine featuring four turbochargers that delivers 1,200 hp at 6,400 rpm as well as monsterous 1,500 Nm of torque between 3,000 and 5,000 rpm. 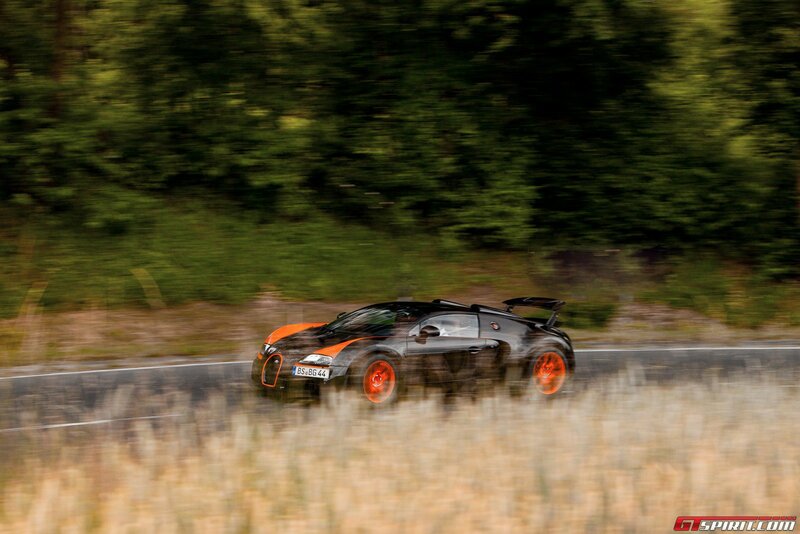 Needless to say to put the Veyron Vitesse WRC in motion you need quite a bit of fuel. It has combined fuel consumption of 23.1l/100km and in town it burns 37.2 l/100 km on average. As for CO2 emissions, it emits 539 g/km on the combined cycle. Thanks to this truly ferocious engine, the Bugatti Veyron Grand Sport Vitesse World Record Car reaches 100 km/h in a mere 2.6 seconds. It hits 200 km/h in 7.1 seconds and in just 16 seconds flat it will be travelling at 300 km/h. This translates into a 10 second quarter mile. 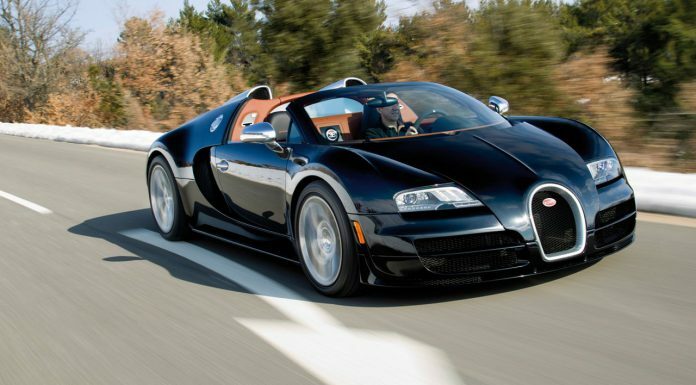 As for the top speed, well that is where the Veyron Grand Sport Vitesse is in a league of its own: with roof attached it tops out at 410 km/h. To achieve this speed the car needs to be in a special top speed mode, in normal handling mode it is limited to 375 km/h. Back in April last year, Chinese racing driver Anthony Liu piloted the Bugatti Veyron Grand Sport Vitesse World Record Car to a top speed of 408.84 km/h (254.04 mph). That record was achieved with the roof removed at the Volkswagen Group’s proving grounds in Ehra-Lessien and that won the Vitesse WRC the title for the world’s fastest convertible. As for braking, the Bugatti Veyron Grand Sport Vitesse can decelerate from 100 km/h to a stop in just 31.4 metres along with an exceptional time of 5.9 seconds in elusive 0-100-0 km/h sprint and stop. Impressive figures especially considering the Veyron’s weight of 1,990 kg. Mated to the quad-turbo 8.0-litre W16 engine is a seven speed DSG transmission capable of changing gears in just 0.1 seconds. 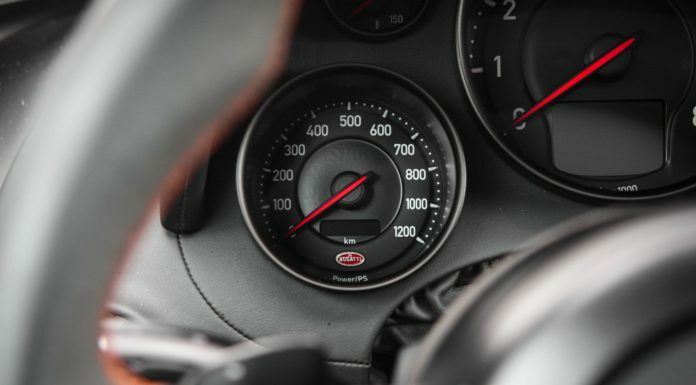 Helping to ensure that the Bugatti Veyron Grand Sport Vitesse is so quick to 100 km/h is the fact that 1st gear goes to 104 km/h with 7th gear only needing to be engaged at 377 km/h! To make sure that the Veyron Grand Sport Vitesse can put all of its power to the ground, the 7-speed dual-clutch sends power through all four wheels. And not just any wheels and tires: At the front, the tyres are 265 mm wide while at the rear they are a truly monstrous 365 mm! 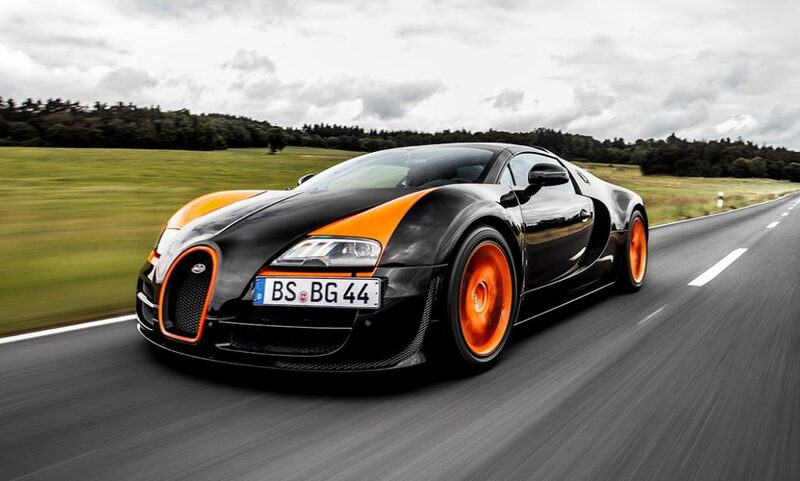 The tires are specially developed for the Bugatti Veyron in cooperation with Michelin. The tires are a key limiting factor in achieving higher top speeds, not only do they need to withstand extreme downforce and heat, they need to be extremely reliable too. Bugatti engineers paid particular attention to the suspension and chassis. 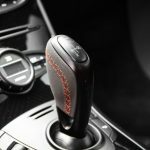 New quick-responding dampers have been fitted to ensure that the control of the vehicle is improved and perfectly balanced; even more so than the standard Veyron Grand Sport. As a matter of fact, body roll and pitching during hard acceleration and braking is virtually non-existent. Elsewhere, optimised wheel-load fluctuations help to further reduce understeer helping the car achieve lateral acceleration of up to 1.4 g. The ESP has also been reconfigured to kick in slightly later. 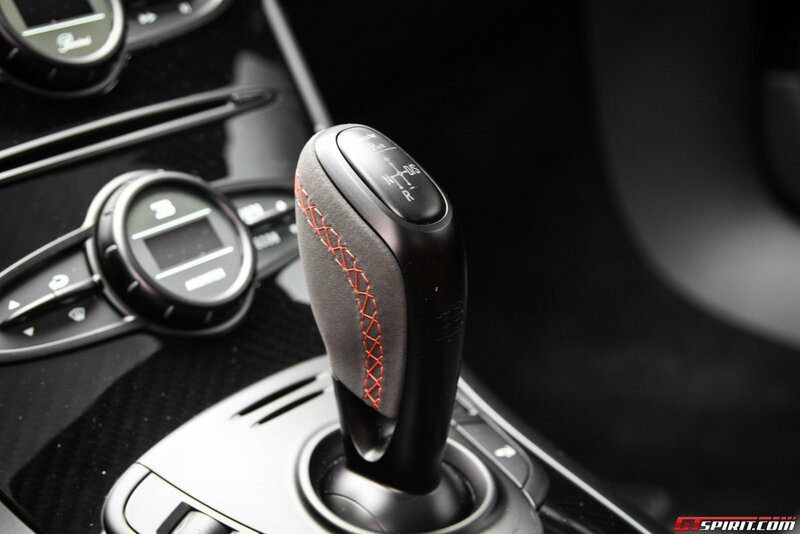 As a result, when accelerating out of corners, the Grand Sport Vitesse is even more dynamic and significantly faster. 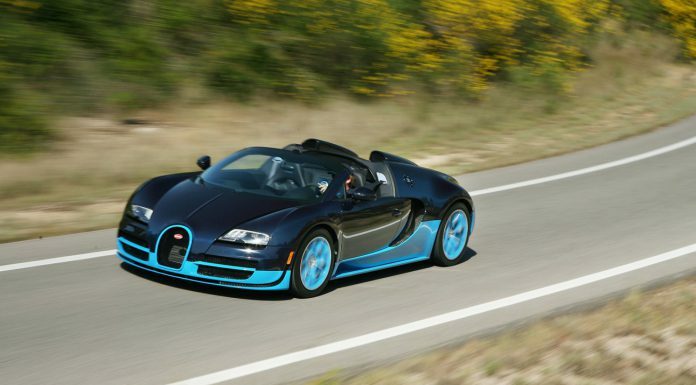 Compared to the regular Veyron Grand Sport, the exterior of the Vitesse has been thoroughly upgraded. 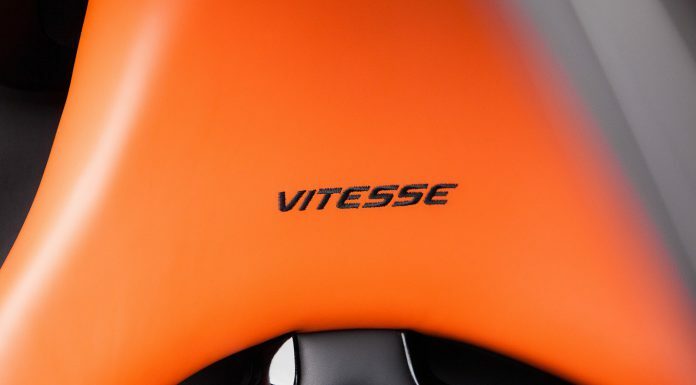 Numerous aerodynamic measures at the front and rear that appeared on the Super Sport have been adapted for the Grand Sport Vitesse. 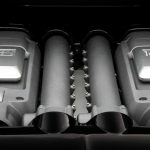 The front end is therefore characterized by larger air intakes; the two central air intakes to the left and right of the Bugatti radiator grille are divided horizontally by a bar. The bottom air vent stretches sideways into the wheel housing and gives this exceptional sports car an extremely masterful appearance. 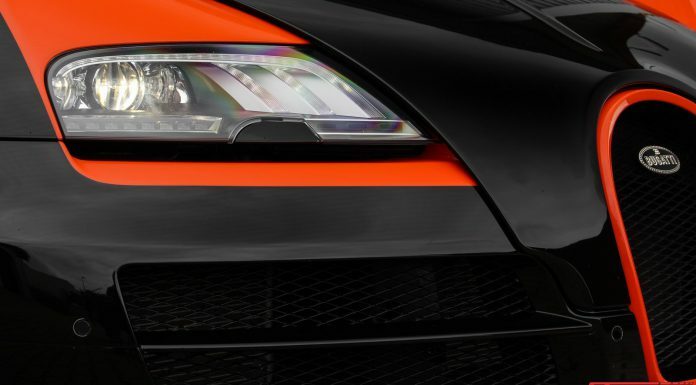 Immediately below this air intake, you will see a new, visually refined front spoiler that has been designed in a similar way to the splitters used in motor racing. The improved xenon headlights from the Super Sport, which are now framed in black, are also new. The rear end, which is also derived from the Super Sport, is characterised by a double diffusor and a centrally positioned twin tailpipe. 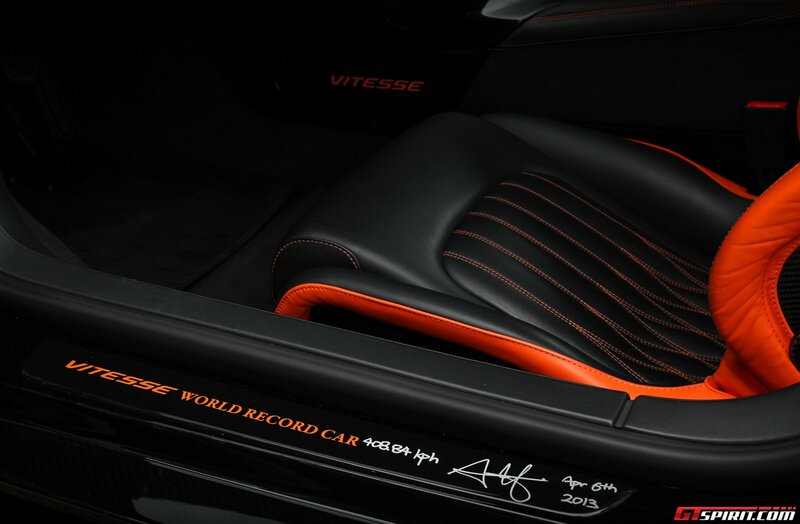 The Bugatti Veyron Grand Sport Vitesse World Record Car can be further distinguished thanks to its orange and black finish. 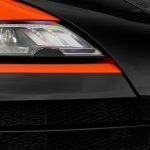 The car rolls on a set of bright orange wheels and also features an orange Bugatti horseshoe grille surround, orange rear diffuser and two prominent orange sections of the bonnet. 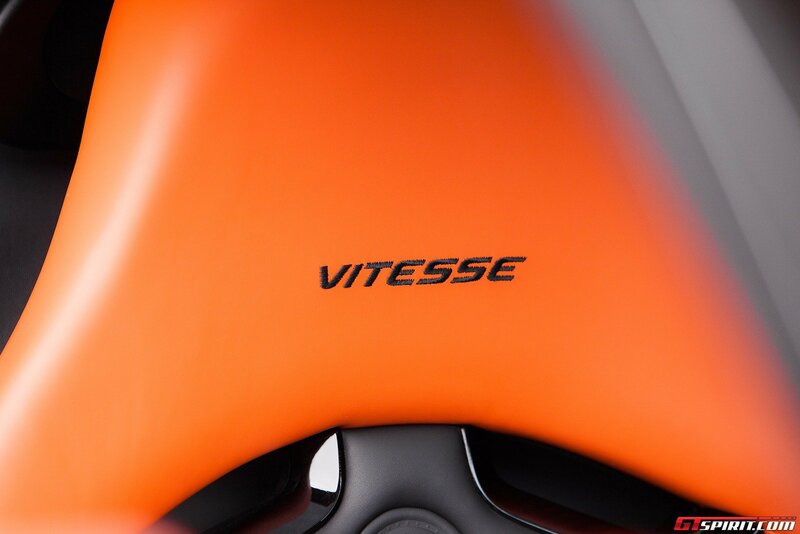 Carbon fibre, aluminium and magnesium are the dominant materials in the interior of the Grand Sport Vitesse. Numerous interior parts are now made from carbon fibre in the 1,200 hp roadster. This includes the centre console extension, a cover with EB logo in the rear-bulkhead leather trim (between the seat backrests) and the belt outlet covers on the seats. 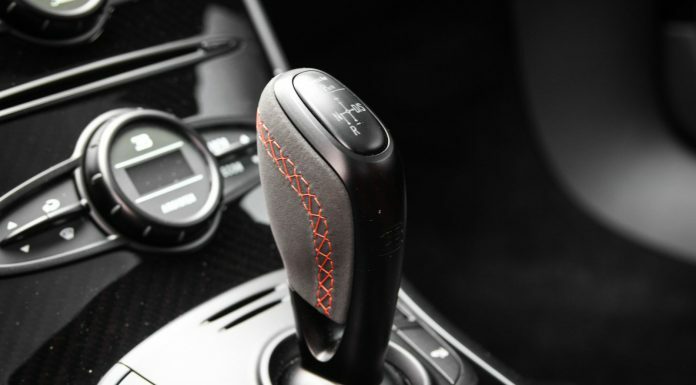 The décor on the centre console, the door inserts and the adjoining trim on the instrument panel are also made from carbon fibre. The two-tone leather seat covers are enhanced by contrasting stitching between the seat base and the side sections. Contrasting stitching is also featured on the leather armrest between the seats, which comes without the typical quilting. Also new: knee pads in the centre tunnel area, an additional 12 V socket (in the glove compartment), the restraint systems, the illuminated start and parking lock button (same as Super Sport), an instrument cluster with shift-up information and – as a matter of honour – the power gauge that now goes up to 1,200 hp! Prior to our road test with the Bugatti Veyron Grand Sport many GTspirit fans asked us to provide more detail as to what Bugatti changed going from a regular Grand Sport to a Vitesse. First of all Bugatti explained that going from 1,001hp output to 1,200hp output is harder than it sounds. The strain on the materials and the requirements for cooling and heat deflection are on an exception scale. Most notable for anyone on the outside will be the extended and slightly straighter front. On the lower side of the bumper the corners are expanded forwards to make way for larger air coolers that are mounted straighter to receive a better airflow. 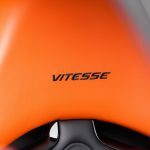 The Vitesse also features a new exhaust system that is capable of handling higher exhaust gas temperatures that the quad turbocharged engine emits. This exhaust also features reduced exhaust gas back pressure that improves the power output. In addition, all components of the drive train have been strengthened extensively in order to ensure continuous and safe power transmission. The suspension has also been upgraded with larger gas volumes in the dampers and damper ventiles that work even faster. Also aiding the ride are the lighter 20 inch alloy wheels. The rear of the Veyron Grand Sport Vitesse can be recognized by the double diffusor and the centrally mounted double tailpipe. Since my first drive in the Bugatti Veyron EB 16.4 many years ago a lot has changed. A new era of hypercars has hit the market and my personal reference for ‘a fast car’ changed from the likes of a 911 Turbo and Lamborghini Gallardo to a Koenigsegg Agera R and a McLaren P1. 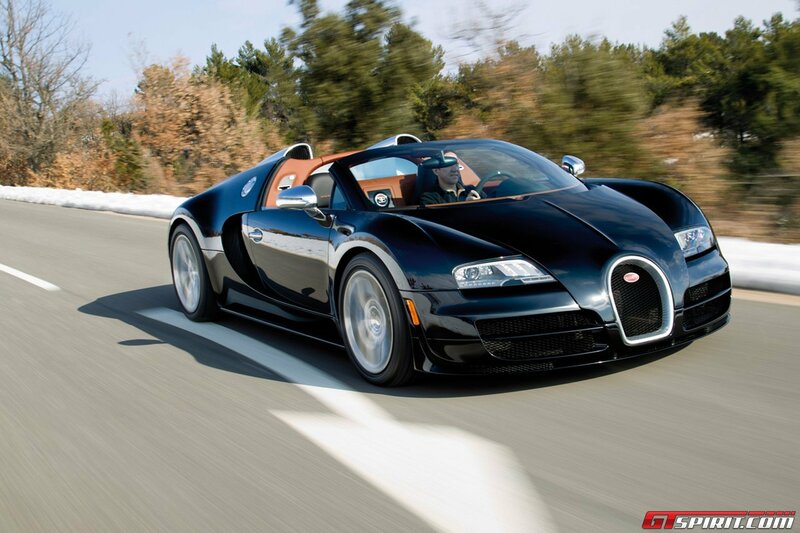 Time to find out how the Bugatti Veyron Grand Sport Vitesse ranks in 2014! 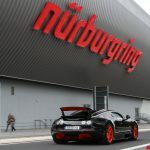 The location for our encounter with the Bugatti Veyron Grand Sport Vitesse WRC is the Volkswagen Group development center near the Nurburgring in Germany. At the premises we are awaited by a team from Bugatti including the Bugatti fleet engineer and Bugatti test driver Andy Wallace. Andy will accompany me during the test drive and answer any questions I may have about the 2 million euro Vitesse WRC. This being the car that set the actual top speed record as fastest convertible it features the World Record Car livery and the record with signature of Anthony Liu in the door sills. 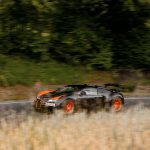 Eight Bugatti Veyron World Record Car Editions have been built for customers, with this special development car bringing the total to nine WRC Editions. One thing that we will never forget from our first ever drive in the Bugatti Veyron nearly a decade ago was the wine of the four turbos. A sound resembling more an airplane than a car. As we press the Start button the engine comes to life and the cabin is engulfed by the sound that we remember so dearly. It is the sound of extraordinary performance. Unlike many other cars today the Veyron doesn’t feature any membranes or sound engineering to blow the driver away, in the Veyron it is the engineering itself that leaves a lasting impression. Inside the Veyron features one of the cleanest, most ergonomic designs a (sports)car can have. Buttons are limited to a bare minimum. On the center console you will only find two buttons to engage the handling mode and launch control and two buttons for the seat heating and that’s it. 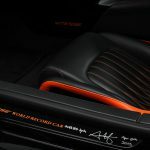 The interior is finished in dark carbon fibre and black leather with orange accents which works as a very chic and elegant combination. Tall people will struggle to find space in many sportscars but the Veyron offers plenty of leg- and headroom (even with a helmet on). Only comfortably getting in- and out of the low Veyron with the wide door sills and sideskirts takes some practice. But once you are in it fits like a glove and it is quite a pleasant car to drive on a daily basis. It is nowhere near as loud as a Lamborghini or as uncomfortable as a Toyota GT86 and it comes with most modern amenities like air-conditioning, a Puccini sound system and a parking camera hidden in the rear view mirror. Maneuvering the WRC Edition around the various photo shoot locations the only inconvenience that strikes us is the larger than average turning circle of the four-wheel drive Veyron. With that said and the photos done it is time for action! 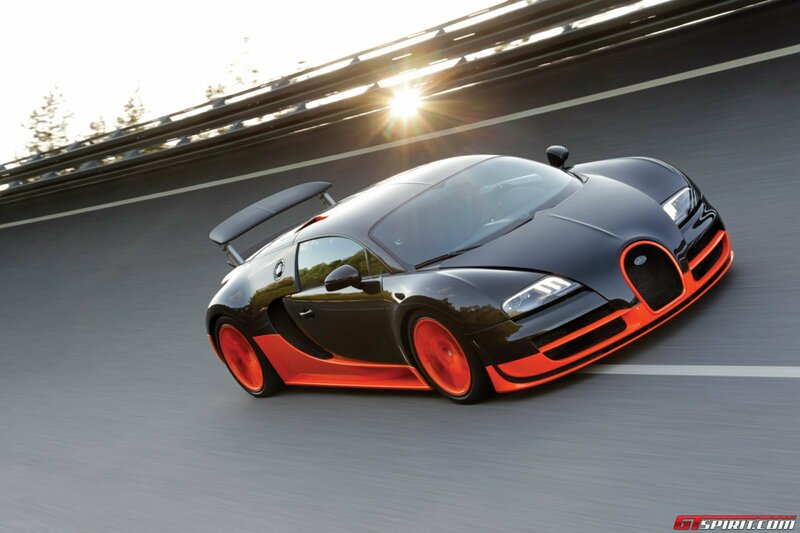 The Bugatti Veyron Grand Sport Vitesse packs 1,200hp ready to be unleashed by a short kick of your right foot. The acceleration is so brutal it literally takes your breath away. From standstill to 100 km/h you will struggle to say a word let alone continue the conversation you are having. The grip of the four-wheel drive system is phenomenal and even on poor road surface it rockets past legal speeds in no time. Right in front of the driver are five gauges, the central and largest one is the rev counter. Left of it is the power meter, which displays how much of the 1,200 available horses you are currently using, and a small oil temperature meter. On the right of the rev counter you will find the speedometer and fuel gauge. 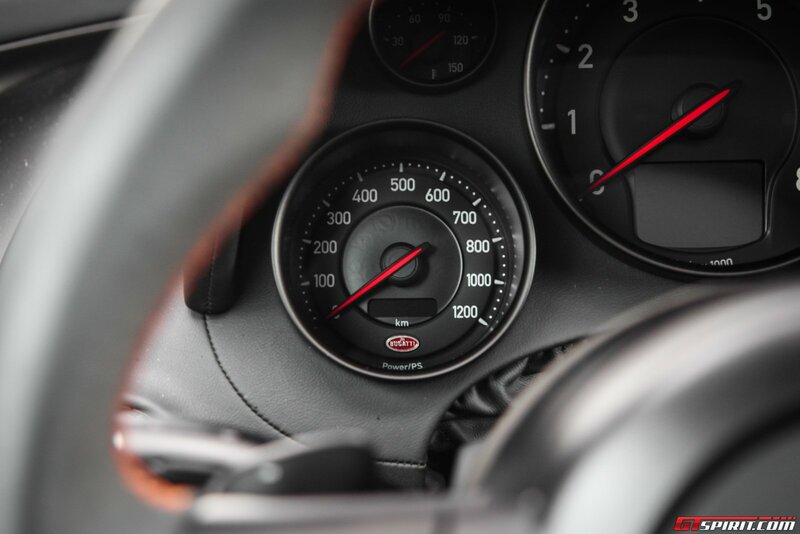 The speedometer goes all the way up to a whopping 430 km/h. 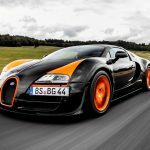 Unlike the latest generation hypercars, the Bugatti Veyron doesn’t rely on any hybrid or electric wizardry, it is pure untamed petrol power that provides the sensational performance that saw the Bugatti Veyron conquer many records since its inception. Even compared to the hybrid hypercars of today the Veyron Grand Sport Vitesse and its hard top Super Sport counter part feel as fast and powerful as you expect a hypercar in 2014 to be. 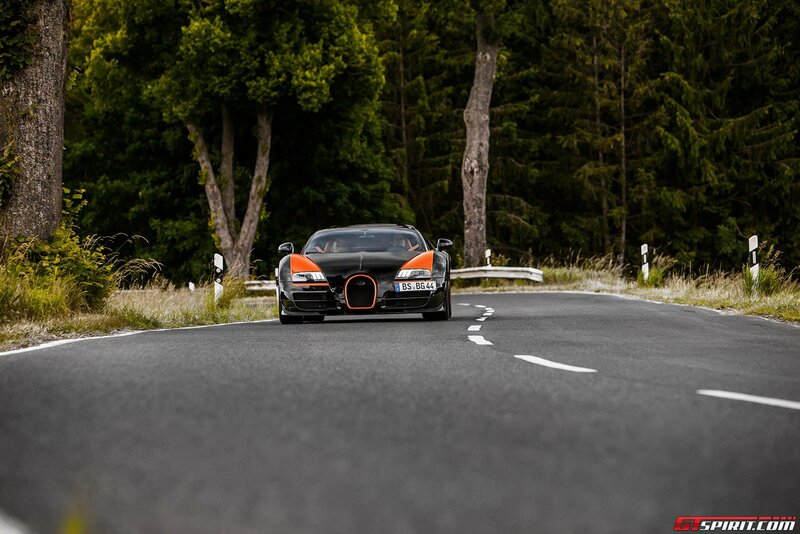 In a straight line the Bugatti Vitesse WRC gives many of its next-gen competitors a run for its money. In the corners it is not as dynamic as the next-gen hypercars which has to do with the Veyron’s weight and all-wheel drive system. The Bugatti engineers tackled the tendency to understeer nicely though and steering inputs translate without exception to a direct responds of the front wheels. The ESP in the Vitesse allows for more slip than it did in the Grand Sport and the Veyron EB 16.4 so you can let the back powerslide a little as you come out of the bends. On the autobahn the Vitesse WRC automatically engages handling mode as soon as you pass 220 km/h. The handling mode lowers the entire vehicle to just 9 cm above the ground and at the same time the rear wing extends to provide additional downforce. 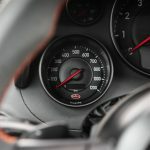 The top speed in handling mode is limited to 375 km/h, more than enough for the German autobahn and finding a stretch that is long enough to even attempt to reach it is a challenge of its own. 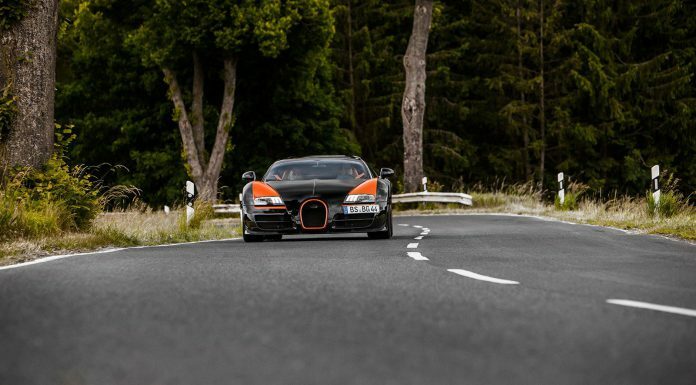 On this day there is no chance we will even come close to the 300 km/h mark, let alone test the Bugatti’s top speed. Not just the acceleration of the Bugatti Veyron Grand Sport Vitesse WRC is worth talking about, the deceleration is equally impressive. Hit the brakes hard and the rear wing will serve as an air brake to aid braking performance. 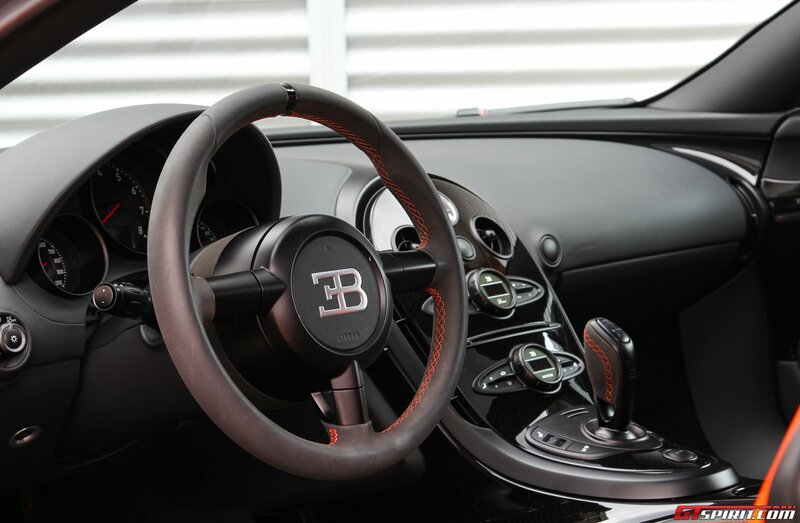 Main stopping power is provided by the Bugatti’s carbon ceramic brakes and again reliability and performance were equally important in the development of the system. And indeed no matter how often and how hard we hit the brakes, they performed without any dip in performance. An impressive feat for a car that weighs well over two tonnes with a driver and passenger. Wherever we go during our day with the Vitesse WRC the Bugatti is immediately recognized and admired, stared at and photographed. 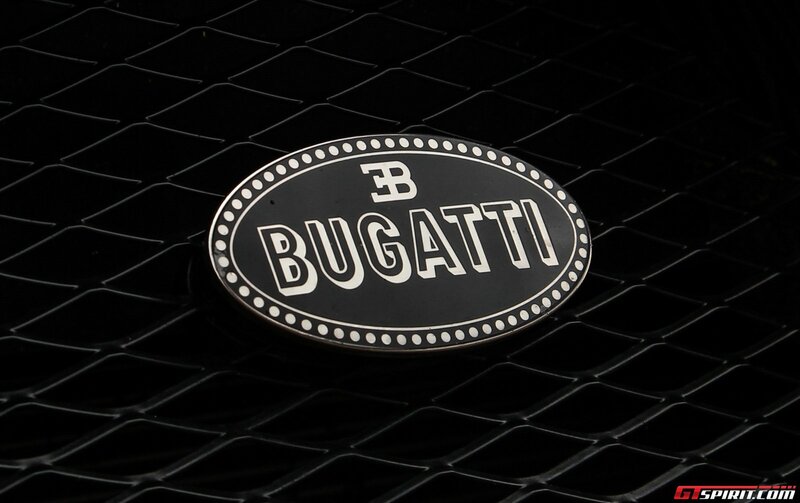 It is instantly recognized as a Bugatti which gives it something very desirable to want to own. The only thing it might lack is a clear audible presence, although the lack of a tacky sound track also sets it apart from the Lamborghinis and Ferraris of this planet. It has a distinctive, chic image that is determined by more than just its price tag. The Bugatti Veyron Grand Sport Vitesse operates in a niche market and essentially has very few competition especially as a convertible. 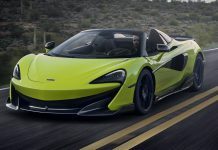 From a performance aspect next generation hypercars like the Porsche 918 Spyder, McLaren P1 and LaFerrari will compete when it comes to track performance and the gadget factor. In terms of high-end performance the only thing we have driven that truly comes close is the Koenigsegg Agera R. This car is 500 kg lighter though which makes a direct comparison not really fair but both cars share an incredible straight line performance, massive braking power and high speed stability. 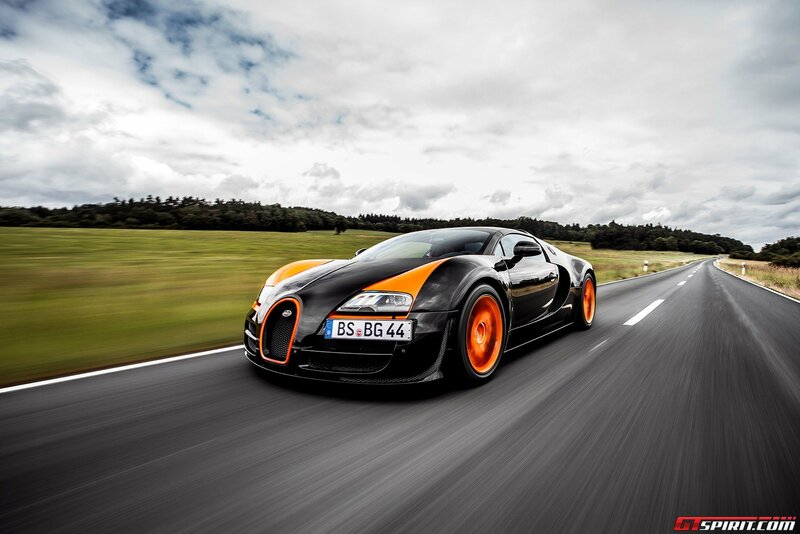 In terms of style and exclusivity the Bugatti Veyron remains the absolute number one. Besides the heritage, excellent execution and engineering piece of art, the Bugatti Veyron’s price tag and running cost also play a role to maintain its exclusivity. Beyond all the performance aspects and world records, there is one thing that struck us the most on this day with the Bugatti Veyron Grand Sport Vitesse and that is how well the Bugatti Veyron aged. Most cars at this point in their life-cycle look dated and are dying to be replaced. 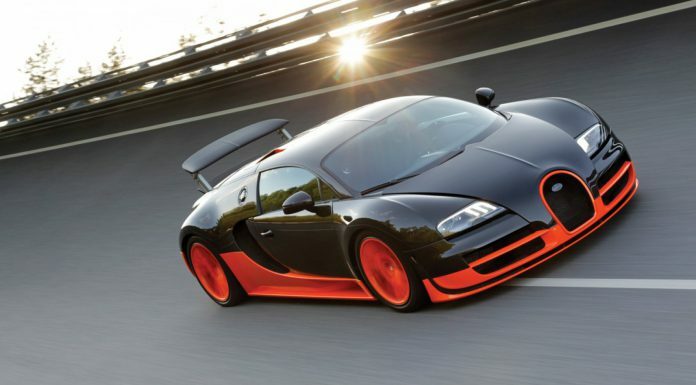 But with the Bugatti Veyron very little gives away that this car is about to celebrate its tenth anniversary next year. It gives next-gen competitors a run for their money in terms of performance. The minimalist and clean interior design will probably still look good in twenty years. The exterior design will always be subject to taste but no matter where you go it already stands for exclusivity and success and like the Bugattis of yesteryear this is unlikely to change. 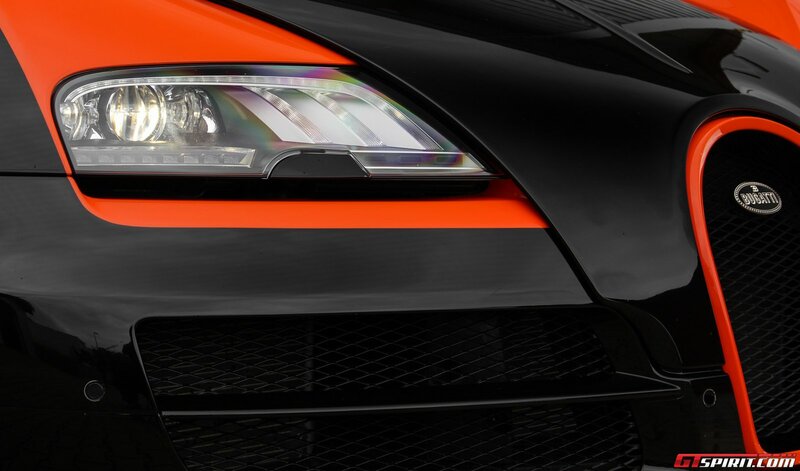 How well we perceive the Bugatti Veyron today is a rare characteristic that very few cars manage to achieve and we are confident the Bugatti Veyron is a car that will age very well and continue to live as a legend alongside future Bugatti generations.